Our Dove Mountain Home Sales March 2017 video update provides a quick review of Single Family Residence (SFR) sales in this growing area. Dove Mountain Real Estate has become a world-class resort community. Subdivisions are built in the rolling hills of the high Sonora Desert. Dove Mountain Real Estate provides residents an active outdoor living experience the year round. Just click the link below to view the Dove Mountain home sales March 2017 activity. Play Kim’s Dove Mountain Home Sales March 2017 Video Update – NOW! Dove Mountain Arizona covers a vast 6,200 acres. Subdivisions offer homes for first time home buyers to the luxury homes at The Gallery, Canyon Pass and Ritz Carlton Residences. There is something for everyone in Dove Mountain Arizona. Development of the first Dove Mountain community started in 1996. Today there are now over 3,000 homes and 25 neighborhoods. New subdivisions include Los Saguaros, Del Webb at Dove Mountain and Boulder Pass. 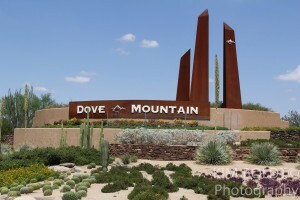 Dove Mountain is expected to grow for many years into the future. Due to the broad range of home prices and abundance of new homes being built, Dove Mountain December maybe just what you are looking for.